Hydraulic load sensor on screen collection & fines discharge conveyors. Designed for application such as crushed and natural aggregate, asphalt, iron ore, recycled concrete and coal; the H6203 & H6203R are capable of up to 882 tph. Features include an adjustable elliptical throw that combines circular and linear amplitude producing an aggressive screening action. 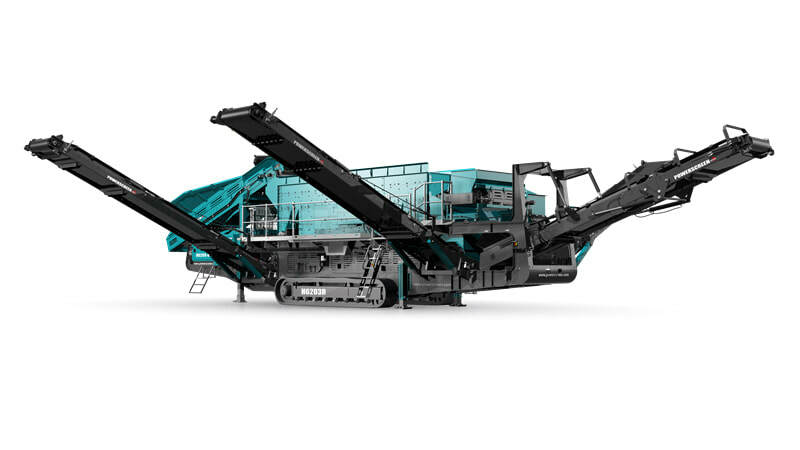 The Powerscreen H range is designed specifically for scalping after a primary impact or jaw crusher.